If you are thinking about holding a fundraiser or book drive for Kate's Kart, you have come to the right place! To help ensure that your fundraiser is a winner, see below for a few tips to incorporate into your event! We are ALWAYS in need of interactive Board Books including Touch & Feel and Lift the Flap. We also are always in need of activity books such as sticker books and coloring books with popular characters such as Princesses, Mickey Mouse, Paw Patrol, dinosaurs, trucks and the like. Thinking About Holding A Fundraiser? Kate's Kart takes pride in providing popular, high-quality books as gifts to hospitalized children. Please stress that donated books must be in BRAND NEW condition. We cannot accept used books. Be prepared to answer the question, "why does Kate's Kart prefer new books?" Monetary donations are the most beneficial and most needed type of donation! With your cash donation, we are able to purchase the most popular books that hospitalized kids are requesting. Plus, we have access to many discounts at retailers and wholesalers that will allow your donation to go much farther than it would if you were to buy books yourself. 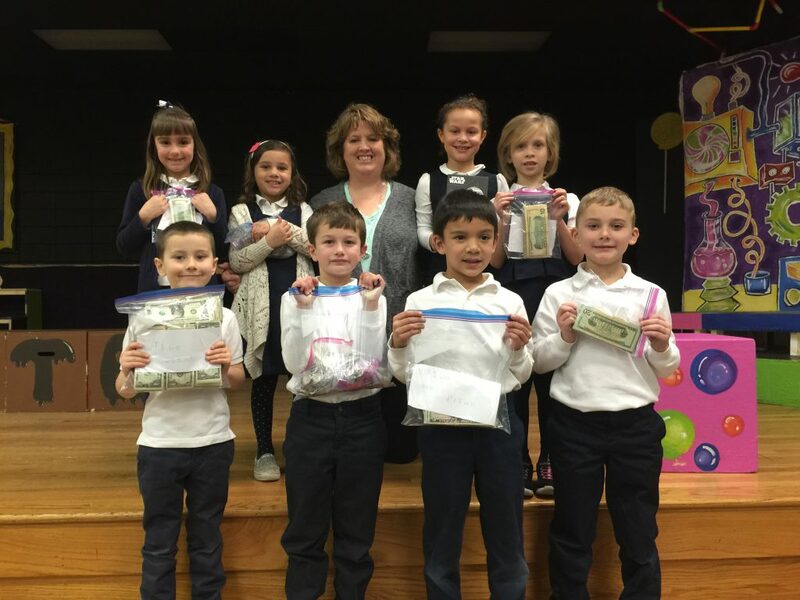 There are many ways to creatively collect cash donations in a school or other group setting. We would be happy to help you with ways to bring in cash. We can also use gift cards for stores that sell books. Please post our Wish List at your event for a complete list of the types of books we need most. If you would like to borrow our display board or banner, please contact us. We also have bookmarks and brochures available. We eagerly work with schools doing Scholastic Book Fairs. The "One for Books" program is a great way to allow us to select popular, high-demand books from your book fair selection while allowing your school to get credit as well! We love the enthusiasm of groups and schools organizing book drives, but when we don't have a chance to discuss and support your effort, random books drives often end up donating books that are never selected off our karts and end up sitting in storage. Please contact us to in advance to discuss your event. Kate's Kart is here to help you, every step of the way. Let us know when your event will be held, and we will then send you a packet to start preparing for your book drive. Who will participate in your book drive – your organization, the public, clients, etc? What will be collected? Items from our wish list? Money? When will the drive start and end? One week is the minimum recommended time frame for a Kate's Kart Book Drive, with three weeks being the maximum. Where will the books be collected and stored? Books should be collected in a well-marked, high traffic area and stored in a secure location. How will people be encouraged to donate? Will a theme work best for your drive? Do you have connections with local media outlets (radio, newspapers, etc.) to advertise the dates of your drive? Kick off your book drive at a meeting or event that you know will be well attended. Be prepared with written materials, flyers, and collection boxes prior to your event. Design an event that will inspire participation. Be sure to publicize the event and provide updates to let people know how many books (or how much money) you have collected. If you get a special contribution, be sure to highlight it and perhaps send a special thank you letter to the contributor. Use public service announcements and press releases to announce your upcoming event. Post the event in your breakroom, school newspaper, and community newsletter. If your organization has a good relationship with the media (TV, radio, print) ask them to help you get the word out. Choose a number that is meaningful to your organization: 1 book per employee? 1 book per student? 2 books per customer/client? When students organize the event, it encourages a sense of community. As the lead adult, your role is to guide them and help them with their decision making processes. Some of our schools have had success with building a committee and assigning different roles, such as: letter writers, publicists, book collectors, and book organizers. After goals are established, you’ll need posters, letters for students to take home and book-o-meters for displaying your book collection progress. We'll come talk to students & staff! We’re happy to come to your school and talk about what we do and why it is important to our community. We will also let them know what their book drive can do to help. We can bring a short slide show presentation that really lets the kids get connected to our mission. Don't have time for a presentation, you can show our "Get to Know Kate's Kart" video. Be sure to celebrate when you reach your goal! Also, think of creative ways to publicize your accomplishment so that everyone who participated has a chance to see exactly what they contributed to. As the boxes fill up, have the book collectors pick up books. If each classroom would like to bring their own box for their rooms, encourage that. Once your drive is complete, give us a call. We can pick up the books or you can drop them off. Put collection boxes in high traffic areas such as the lobby, or any other place employees regularly pass by or congregate. Decide on prizes for the top three departments. Announce the winners in your company’s newsletter or post the winners in your breakroom. We DO NOT RECOMMEND having a contest for the MOST books donated. This usually results in buying small cheap books from a dollar type store. The kids much prefer a more interactive and longer book that will provide distraction for a significant period of time. We much prefer 1 high quality book over 10 cheap, small books. 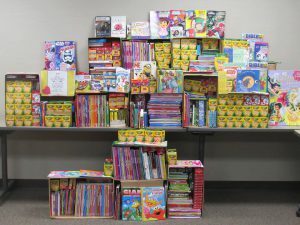 Maybe you have a sister organization that you can challenge to a book drive? Perhaps your company is part of a professional organization (Chamber of Commerce, consortium of smaller companies) that you can partner with to widen the breadth of your drive. 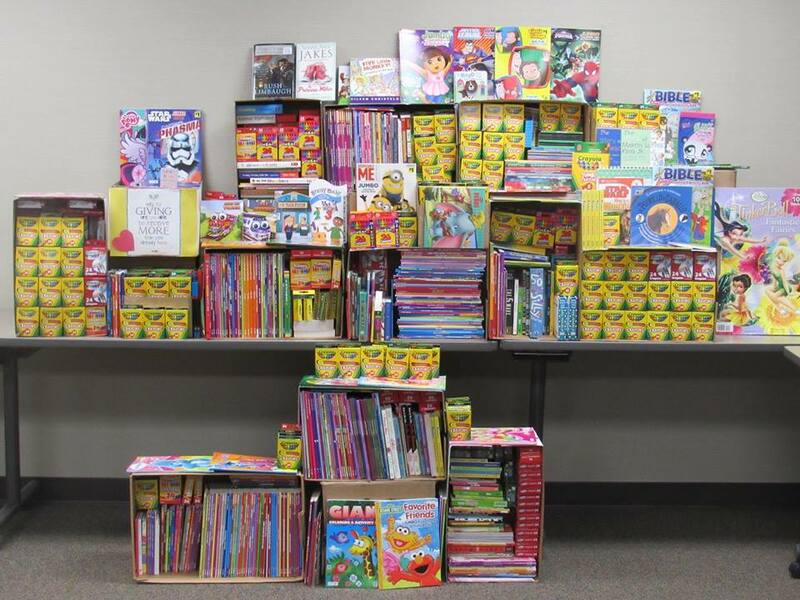 Upon completion of your book drive, think of a creative way to thank all those that participated. Once your drive is complete, give us a call. We can pick up the books or you can drop them off. At your request, prior to your drive we will send a Kate's Kart representative to do a presentation to your organization. Simply give us a two week lead time and we will bring a tailor made presentation directly to you! Contact us for more details about this added benefit.